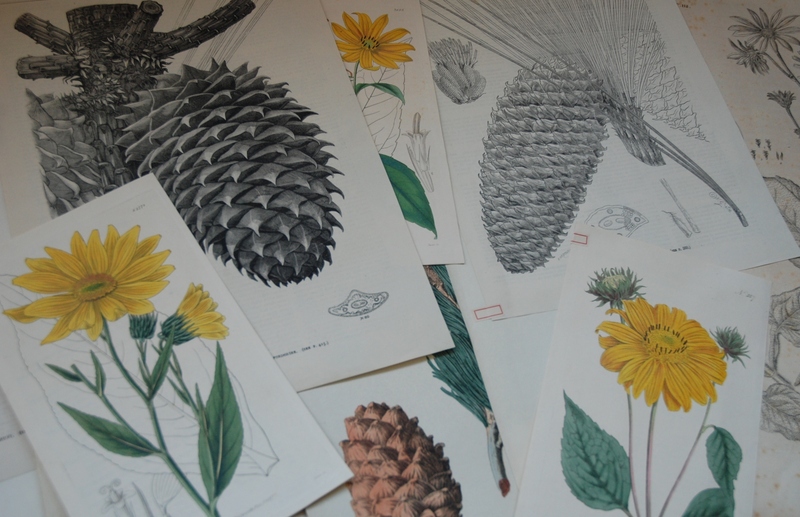 Tonight sees the opening of our latest exhibtion ‘Coral: Something Rich and Strange’ which shows beautiful natural history specimens of coral alongside amazing works of art. At the front of the exhibition is a crochet coral reef; a satellite from the reef of the Institute for Figuring in California. The reef includes a few pieces created by curatorial staff and volunteers, who may not have fully mastered the art of crochet, but who can now make curly hyperbolic shapes. This reef will grow over the course of the exhibition (which runs until the 16th March 2014) and so there’s plenty of time to join in if you’re interested in promoting coral reef consevation or fancy trying your hand at crochet. The reef also features an area of coral bleaching. Although reef-building corals are animals, they often have a partner – microscopic, single-celled algae known as zooxanthellae (specifically dinoflagellates in the genus Symbiodinium). 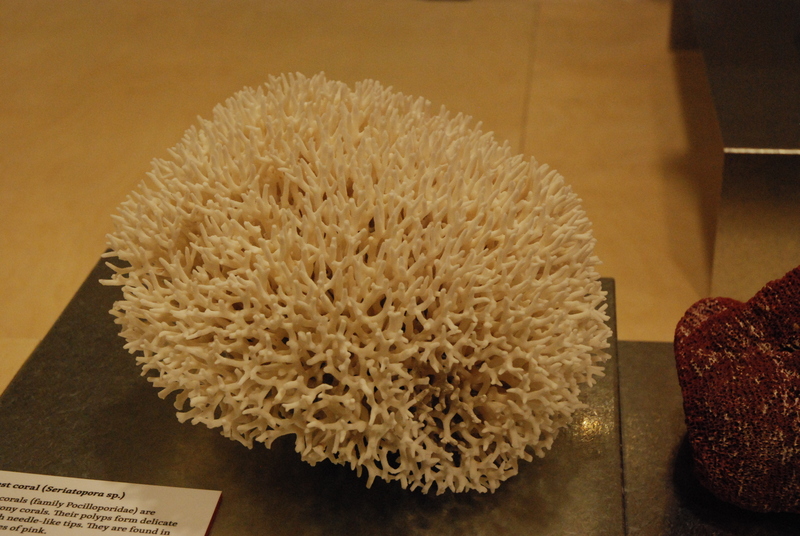 The coral povides protection and the zooxanthellae collect energy from the sun by photosynthesis to produce sugars. This sort of life-style is similar to that of the symbiotic relationship between fungi and algae in lichens. 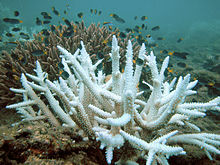 Coral bleaching happens when a coral becomes stressed (e.g. through rising sea temperatures, pollution or high UV) and can expels the algae. As corals are mostly transparent, losing the brown-coloured symbiotic algae reveals the (often) white calcium carbonate structure. As the algae produce sugars which can feed the corals, this bleaching can quickly cause starvation making the corals suceptible to disease and causing the death of patches of the reef. 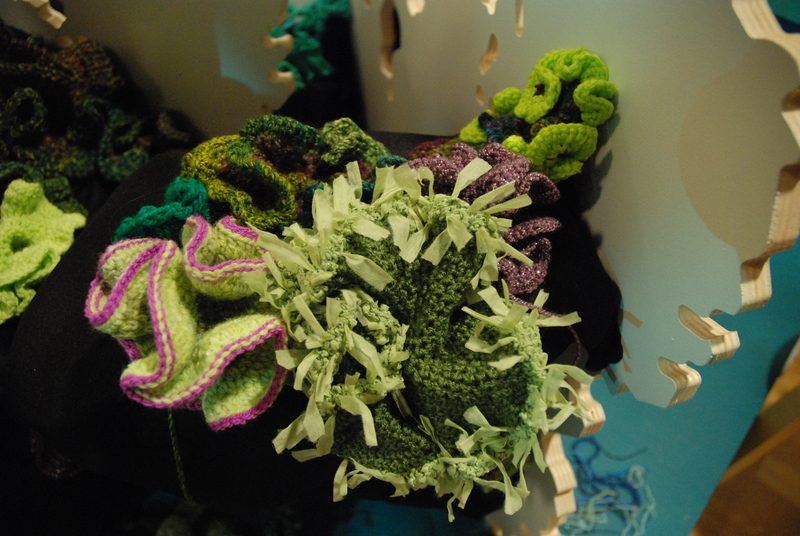 This entry was posted in Biodiversity, Exhibitions, News, University of Manchester and tagged #MMCoral, algae, Coral, Crochet, Exhibitions, reef.